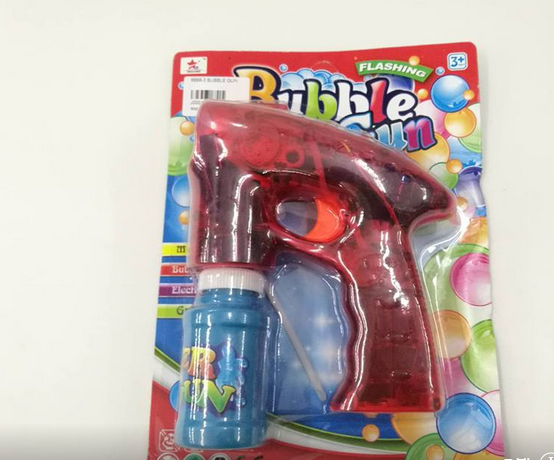 Pull the trigger and blow a stream of bubbles to chase and pop! Bright LED colored flashing lights. 3XAA batteries and one jars of bubble soap included! Fun for all ages 3 and up. Great at parties and the office too.